In the days of the “robber barons,” before the U.S. income tax was instituted, one man stood out from his peers for adding to business savvy a real core of personal integrity and idealism. Andrew Carnegie, immigrant, self-made man, a corporate tycoon, and pioneering philanthropist, had a clear vision for philanthropy that he carried out in his own life and with his own money. By the time he died, he had given away all his wealth—much of it personally, some of it to his foundations. 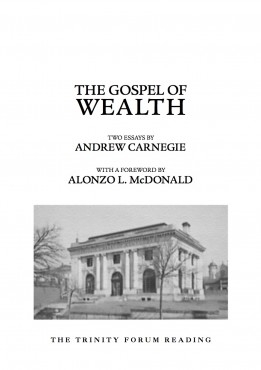 Carnegie’s “Gospel of Wealth” offers his vision for philanthropy, opening a window into a turbulent time and raising questions still worth pondering by people of means and people of faith alike. The Foreword by Alonzo L. McDonald provides a comprehensive historical setting for this influential essay. 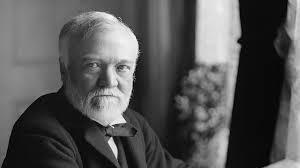 “The problem of our age,” Carnegie writes, “is the proper administration of wealth.” The mutual resentment between rich and poor, he suggests, can only be ameliorated if those who accumulate wealth also themselves distribute it to the benefit of society. It is a uniquely American vision that draws both on Carnegie’s Christian upbringing and his later Social Darwinist views and also bears the highly personal stamp of his rise from extreme poverty to the highest stratum of the ladder of worldly success. People of all political and philosophical perspectives will find much here to ponder. His celebration of capitalism and discussion of its alternatives is worth discussing in an age that still seems obsessed with the gap between rich and poor. And since much of his “gospel of wealth” actually did get implemented, particularly via his pioneering of professional philanthropy and the great charitable foundations, we have more resources today to ask some tough questions. How well does Carnegie’s “gospel of wealth” hold up given the developments of the past century? Is there more good will and interaction between people of varying wealth now? Has corporate philanthropy addressed underlying issues of envy and resentment between rich and poor? Of respect for rich and poor as full human beings who are responsible for their actions? How much does the gospel of wealth overlap with the Gospel of Jesus?